Old Tianqiao was once a bustling hub of cultural activities and folk arts traditions ranging from storytelling, variety shows, acrobatics, and operas. The project intends to reestablish the cultural heart of the capital with a collection of modern and traditional performance venues that respect the city’s sensitive, World Heritage context. An integrated design process across many disciplines laid out a series of environmental goals, including reintroducing the historic farm fabric, developing a storm water filtration system, reducing waste by using existing materials, and reducing automobile dependence and carbon footprint by creating walkable neighborhoods around three new subway stations. The BIG U is a 10-mile protective ribbon around lower Manhattan that addresses vulnerabilities exposed by Superstorm Sandy (2012). The BIG U consists of three components: BIG Bench, Battery Berm, and Bridging Berm. BIG Bench is a continuous protective element adapted to the local context that mediates new and existing infrastructure. The Battery Berm weaves an elevated path through the park, enhancing the public realm while protecting the Financial District and critical transportation infrastructure. This signature building features a “reverse aquarium” that enables visitors to observe tidal variations and sea level rise. The Bridging Berm rises 14 feet by the highways, connecting the coast and communities with greenways. The redevelopment of the Government Center Garage project is an example of undoing the ills of the 1960's urban renewal in Boston that critically separated six thriving neighborhoods. The plan unlocks neighborhood connections, reopens urban vistas, and creates engaging public spaces by strategically removing a portion of the garage while preserving the remaining structure through creative phasing to provide for a sustainable and economically feasible redevelopment. The project introduces 3 million square-feet of housing dominant mixed-use program to downtown, creating a dynamic 24-hour neighborhood as a model for sustainable, transit-oriented development. The project also sets up a new position for urban design in Boston by shaping the urban form to respond to acute desire lines of a pre-grid city and promoting slender building typologies. Target Field Station, which opened in May 2014, is a distinct transit station located in the heart of Minneapolis’ revitalized North Loop neighborhood. 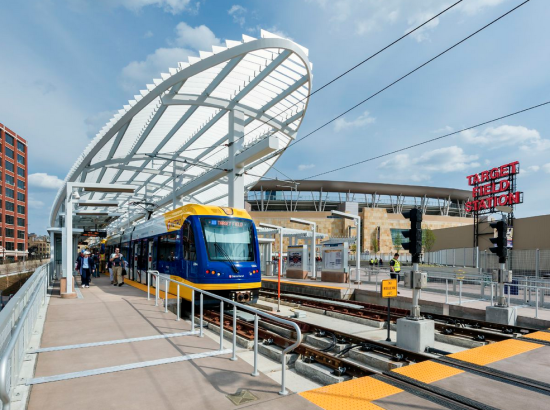 By combining sustainable design, open public space, and private development, all linked seamlessly with varying modes of transit, Target Field Station sets the bar for how modern cities leverage transit design to create iconic cultural centers. We were taken by how this typology was architecturally rendered with very modest materials that were well crafted and thoughtfully considered throughout. The simple, regionally inspired forms are transformed by their uniquely composed skins of weathered bamboo and commodity metal siding. This is an important everyday building type that sits quite nicely in its residential neighborhood but is unique. The flexible framework can adapt over time; becoming retail when it needs to, and when the neighborhood changes, it can change as well. The Barnes Foundation serves as an example for the museum building typology in its careful consideration of the foundation’s mission, user experience, and sustainable operating practices. It commands attention by inviting pedestrians to the site and incorporating the historic landscapes of Philadelphia’s Benjamin Franklin Parkway. This remarkable kayak pavilion – part of the larger Scenic Hudson’s River Center – celebrates simplicity, craft, resilience, and advanced resource-efficiency. Assembled from humble, off-the shelf industrial components, the design skillfully employs careful proportions, elegant detailing, and forthright use of materials to create a building that enlivens the riverfront and creates a vibrant new community gathering space. While the context is less than desirable, the impact that this building has on the parkway has resulted in improvements of neighboring structures, proving that design can have a ripple effect in an otherwise mundane context. The central exterior column supporting the massive truss level is built with precision and craftsmanship, allowing for maximum expansion while creating a covered welcoming piazza. The rigorous clarity in the organization and assembly of this building is perfectly suited to an educational environment for architecture. It is an exceptional work that surrounds students with a seamless integration of programmatic goals, energy efficiency, and creative tectonics. A powerful parti with emphasis on transparency places the entire design school on display to the campus in largely successful ways. The hall is praised by users for its “transactional” qualities: The college’s activities have become far more visually accessible within the Cornell campus; spaces created are connective between Sibley and Rand Halls; and functional relocations—such as the design library—have enhanced communication between student cohorts within the college. A thumbs-up for preserving the work of Saarinen and exploiting the basement space that was originally less desirable without altering the general impression and character of the project. It is sensitive to the resources and shows real attention to detail—great use of materials, lighting dynamics, and spatial results. This is the first comprehensive exterior reconstruction effort in the building’s history and it was thoroughly and successfully executed. 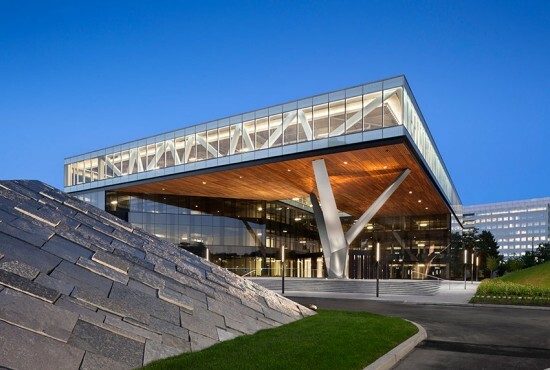 There is a high level of professionalism from everyone that worked on this project; everyone was a strong player - from the craftsmen to the design team - and all contributed to the success of this building. This transformation of a humble former welding shop into an elegant work of religious architecture is an inspiring example for our profession and especially for small practitioners. The project makes the most with the least, displaying deep resource efficiency as an integral part of its design ethos—something more architects should be thinking about and practicing. This large project impressed us on many levels, showing how a typically large, introverted program can thoughtfully reinforce and contribute to a prominent urban site. A carefully considered 360º architecture uniquely responds to a variety of urban and natural adjacencies. This project is a joy! This is not only original, but stunning to behold. It is noteworthy for its aesthetic approach, which is straightforwardly artificial rather than pretending to be natural. One of the project’s most exciting dimensions is its inclusion of the diverse community of users. Its bold use of color and public art (both high and popular) in spaces that promote social interaction and engagement all exude a high level of excitement and energy through what once looked like residual space. This is a great integration of inventive architecture and sustainable urbanism into a traditional, low-income fabric. The project does a very interesting and successful job of comingling variations of public and private space. By creating variations in the housing typology, building placement on the site and landscape treatments, the development proposal has appeal to multiple household types, creates private and shared space, and it completes the urban context of the neighborhood. This is one of the most ambitious retrofits of an existing suburban apartment complex with green infrastructure this jury has seen. Instead of typical ‘urban’ or ‘suburban’ streetscapes it will provide a new high-performing, hybrid experience that is both dense and lush with improved connectivity to transit. They’ve added a series of layers to the existing fabric of the mid-century garden suburb development. 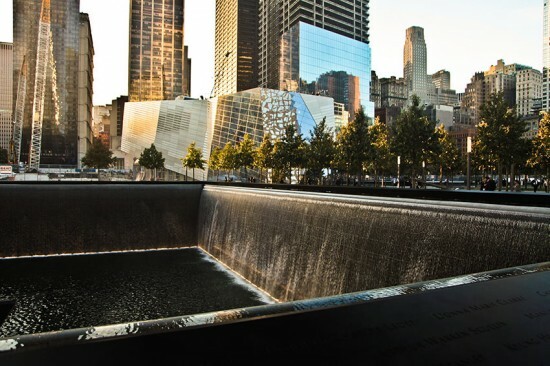 This is an exquisite memorial that captures the absence of the towers both literally and poetically. Its execution creates a successful space for collective mourning and remembrance. It lives up to its role as a significant and appropriate memorial but also acts as a functioning part of a more livable and beautiful city by providing remarkable views from above, casual seating for daily use as well as the emotional experience of the memorial. This is an excellent example of sustainable design that supports food production and habitable spaces and establishes a viable regional footprint for agriculture, housing, and natural conservation. It is commendable to see a development that relates to the canals and addresses pressing production and sustainability issues in the context of growth in China. This is a strong environmental vision for an important global natural asset. There is power in the grand scale and how it looks at regional sustainability less in terms of direct environmental protection and more in terms of a transformational shift to a green regional economy catalyzed by high speed rail connectivity. This is an outstanding development of the public edge of the city at its waterfront. The project transforms the convention center typology into a true “civic” piece of the city. The balance of built and open space is spectacular and the linear orientation of the park and convention center take full advantage of the water’s edge. Detailing of the water’s edge integrates human access with ecological habitat restoration and sustainable systems to an impressive degree. This is beautifully done with an integration of urban and architectural strategies. This is a commendable plan for the sensitivity it shows to reconnecting DC’s historic context while successfully integrating an extremely complex set of uses and transportation modes. Despite the challenges of building on a podium above the rail yards, the plan’s framework maintains continuity of public streets and bikeways lined with mixed-use development while including a new public space extending from the expanded, updated new station hall. This project was commended for both the interior architecture and for the precedent it sets for the reuse of the country’s industrial building stock. The planning of the program, in plan and section, was commended, in particular the suspended studios that allow sharing of views and daylight, as was the smokestack space, which is powerful and unexpected. 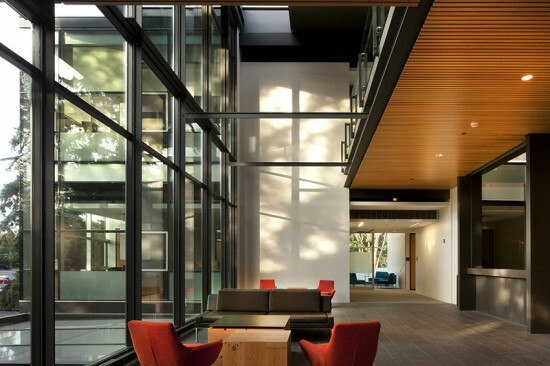 Remarkable for a campus building, the interiors of this University of Washington business school campus building contain a rich material palette. The generous natural materials accented with steel and glass details provide balance. The detailing, especially in the entry and public spaces, coordinates seamlessly, even sensuously, for a building of this scale. The McAllen Main Library represents an important shift in American cultural attitudes toward tolerating big box, suburban structures. The interior spaces have been dramatically transformed from a warehouse to a place with a sense of intimacy. This project was commended for the simplicity yet complexity of the plan and section moves, especially the creation of the interior courtyard and the way light is brought into the building. The interior moves are made more powerful by the decision to retain the original exterior facade of the data center rather than remove and replace it with a glazed curtain wall. This beautiful design creates a powerful and fluid space where light dominates. With a strong conceptual parti, the project submission described real challenges in executing such ambitious design exploration. This is a beautifully conceived and detailed work of interior architecture employing traditional principles of modernism while transforming and extending that language with an innovative and carefully considered vocabulary of materials, colors, and patterns. Horizontal planes of wood are designed with strong textures of color and pattern. This minimalist intervention into a modest urban warehouse space results in a dynamic and beautifully detailed project. A great solution for a simple space reflecting an attitude of restraint and editing, the project is gritty and urban and integrates the exterior with the interior for a sort of "rough luxe" aesthetic. This project has the mark of a mature designer, willing to reduce the existing space to its barest essentials. It exhibits restraint and control to make a very elegant and sophisticated design solution. The scheme integrates and adapts a classic exterior language into the interior space. This project involves modest yet beautifully sensitive modifications to a heroic modernist building. It respects and enhances the spirit and values of the Benedictine monks embodied in the original building while responding to a new set of goals for the religious community and a variety of code and system-related improvements.